It’s hard to beat the beauty and durability of ceramic tile when it comes to flooring. 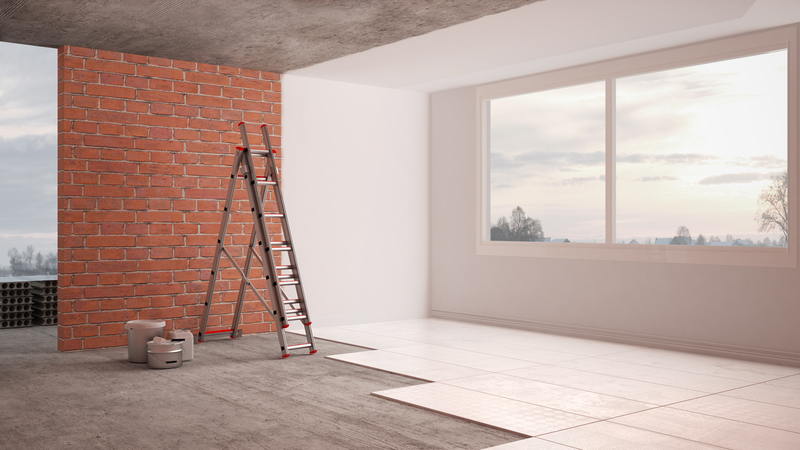 Ceramic tiles are very strong, but when they’re installed on a surface that isn’t sturdy and rigid, you’ll end up with cracked grout joints and broken tiles, ruining the look and water resistance of the floor. 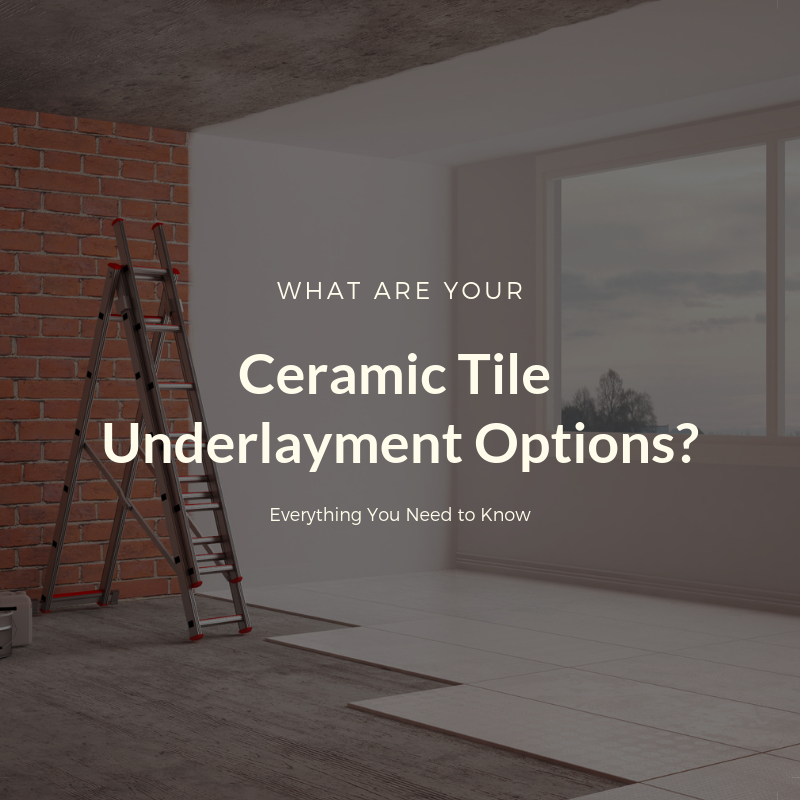 You have a number of choices when it comes to the ideal underlayment for ceramic tiles. The joists, which are the structural support components. The subfloor, which is typically a layer of plywood or oriented strand board (OSB). The underlayment, which is the final layer that lies directly beneath the surface flooring. The floor and subfloor combined should be at least 1-1/8 inches thick for proper support. If your existing floor is covered in cushioned vinyl or linoleum, it’s best to remove it, but you can also cover it with an underlayment. If you have more than one layer of existing flooring, or if the existing flooring is damaged, it must be removed before putting down the underlayment. If the existing floor was installed prior to 1990, it may contain asbestos fibers, and removing or sanding it can be dangerous. In this case, hire a trained asbestos inspector to determine whether asbestos is present. If it is, the existing flooring can simply be covered with plywood or removed by a professional contractor. Using the proper underlayment for the type of flooring you’re installing is essential for a lasting, high quality installation. But it’s also important to choose the underlayment that will best address any issues present in the subfloor, which needs to be level and free of low spots. The following underlayments are suitable for ceramic tile installation. 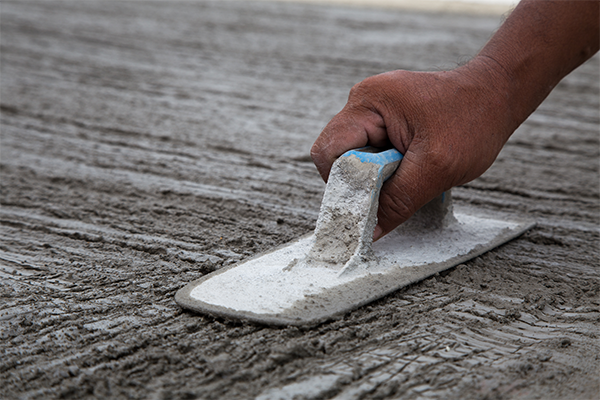 A concrete slab makes a good ceramic tile underlayment, since it’s similar to the solid mortar bases that used to be the standard for ceramic tile installation. However, the slab must be flat, perfectly level, and not at risk of settling or heaving. You need to careful not to lay tile over the slab’s expansion joints, which will lead to cracked mortar and broken tiles. To determine whether the existing floor is flat, move a straightedge over the surface. Mark the spots that are high and low. Fill in low spots with a leveling compound, and grind down high spots with a grinder or rubbing stone. Cracks that occur in concrete will affect your tiles. If you’re laying tile on a concrete slab, consider installing an uncoupling membrane over the concrete to separate the tile from the concrete to protect your tiles against shifts in the concrete. Uncoupling membranes are bonded to a wood or concrete floor. The face may contain a mesh material that promotes a strong bond to the tile and provides air space between the tile and subfloor to enable the tiles to move independently, limiting stress fractures. Backer board is a tile-ready surface that comes in sheets you lay over the subfloor. Backer board is bonded to a wood subfloor with thin-set mortar and secured with galvanized nails or specialty backer board screws. Place a nail or screw every eight inches. It may be necessary to treat an uneven or damaged subfloor with another underlayment, such as a mortar bed or self-leveling underlayment, before putting down the backer board. Concrete backer board (Durock and WonderBoard), which is the standard material for tile underlayment. Concrete backer board has a solid concrete core, and both sides are faced with fiberglass. It’s waterproof, which makes it ideal for wet-area installations. Fiber-cement backer board (HardieBacker and Fiberock), which is fiber-reinforced for strength and durability. Fiber-reinforced water-resistant gypsum backer board (DensShield). Backer board is very hard. You can cut it with a utility knife, but you’ll go through a lot of blades. Instead, use a carbide-blade cutter, which works better. To cut backer board, use a framing square to guide the blade. Score the board several times, then break it by applying pressure until it snaps along the score line. A mortar bed is a thin layer of cement mortar poured on the subfloor and embedded with mesh reinforcement. Mortar beds aren’t as common as they once were, although they’re still widely used in shower floor installations. Still, they’re a good choice for underlayment over subfloors with small flaws or which aren’t perfectly level. Mortar beds require some skill and a good deal of time and may not be suitable for all DIYers. They’re also heavy, which may be a problem in some homes. For installations where the subfloor is level and free of flaws, you can use a membrane as the underlayment. These thin, lightweight sheets of polyethylene replace backer board, and they’re far easier to cut and install. Membranes are set in a bed of thin-set mortar and covered by another coat of thin-set into which the tiles are set. Some membranes contain reinforcing fabrics for added strength. Crack isolation membranes can be used to isolate the tile from minor in-plane subfloor cracking, while uncoupling membranes are used to disconnect the tile from the subfloor. Bonded sound reduction membranes reduce the transmission of sound, such as footsteps, dropped objects, and airborne sounds like voices. Drywall. While you can tile over drywall walls, the paper covering on drywall can tear, destabilizing the tile. Non-sheet vinyl flooring. Vinyl tile, resilient vinyl, and multi-layer vinyl can cause a number of problems, including moisture problems and shifting. OSB or interior grade plywood. These materials swell when they’re exposed to water, which can cause cracking in the grout and tiles. Particle board. The weight of the thin-set, tile, and grout adds too much weight for particle board to handle, and it can become unstable, causing cracks in the grout and tile. An installed tile floor can last a long, long time, if it’s done right. By using the proper underlayment and following the tile industry’s best practices, you can enjoy your DIY tile floor problem-free for years to come.